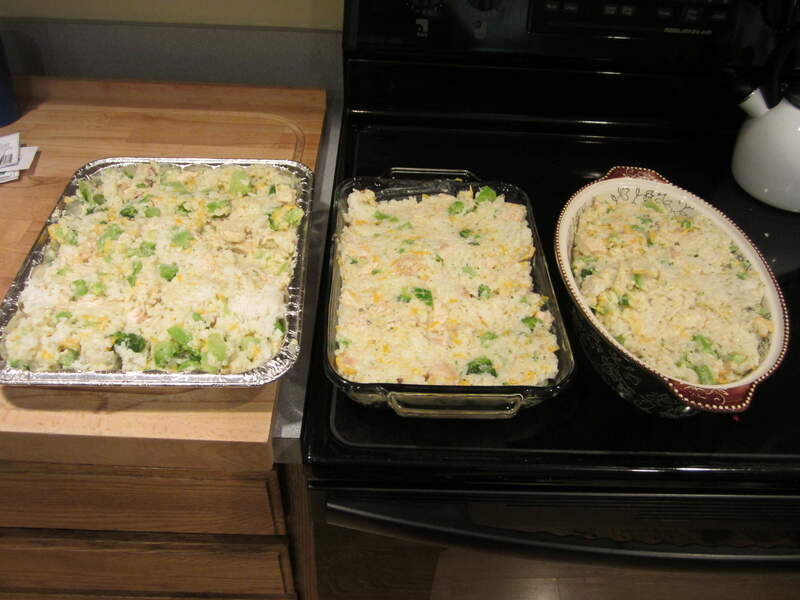 The assignment for Friday in the 4 Weeks to Fill Your Freezer series was Chicken Broccoli Rice casserole, but unfortunately, I didn’t get it made until today. My little guy fell and tripped while running yesterday, skinning his elbow in the process. We were on the way into the gym, so I asked them for a band-aid and we fixed him up….or so I thought. For those of you who don’t know about nursemaid’s elbow, it basically is a dislocation of the elbow joint. There is a large ligament that essentially slips out-of-place and makes it painful for you to extend your arm. Fixing it is pretty easy, but it does hurt a bit. We called the doctor and made an appointment for that afternoon. Sure enough, he was diagnosed with nursemaid’s elbow and the doctor put it back into place. By the time we got home, it was time for soccer, so I didn’t get to spend any time in the kitchen. So this morning, right after breakfast, I decided to make the chicken casserole. 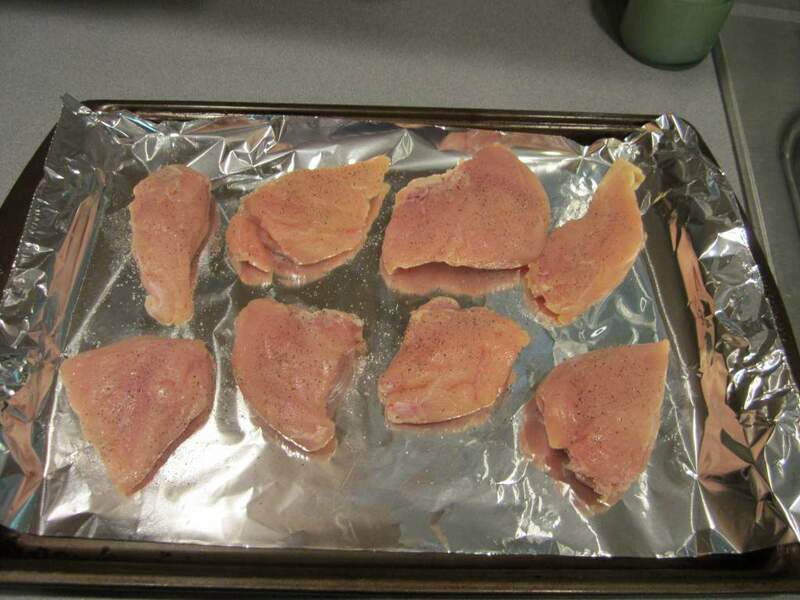 I seasoned some chicken breast pieces with salt and pepper and put them in a 350° oven for about 25-30 minutes. 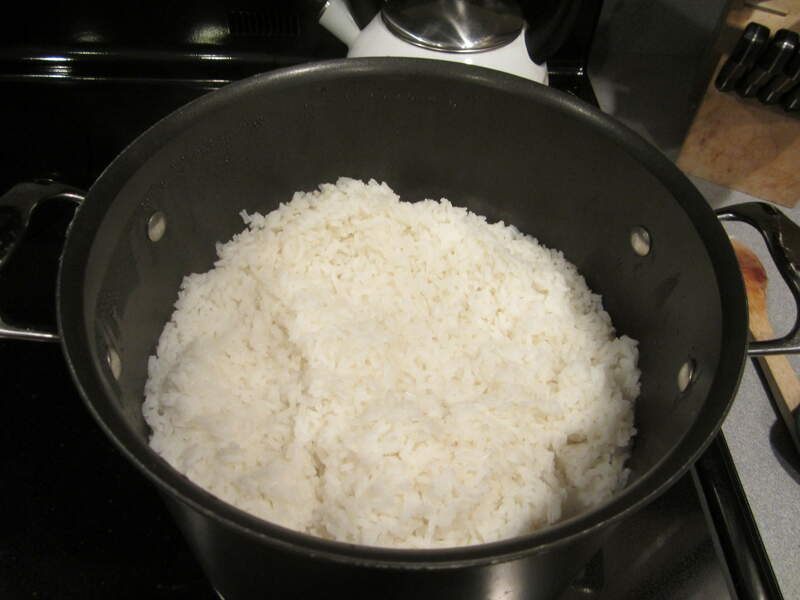 I also got out my stockpot to make the rice. It’s the biggest pot I own…I was going to need it to cook 5 whole cups of rice! While rice and chicken were cooking, I opened the cans of soup and shredded the cheese. I also opened up 2 big bags of frozen broccoli. The recipe calls for fresh broccoli, but the frozen was on sale at Aldi, so that’s what I went with. When the chicken was done, I chopped it up and threw it in with the soup mixture. 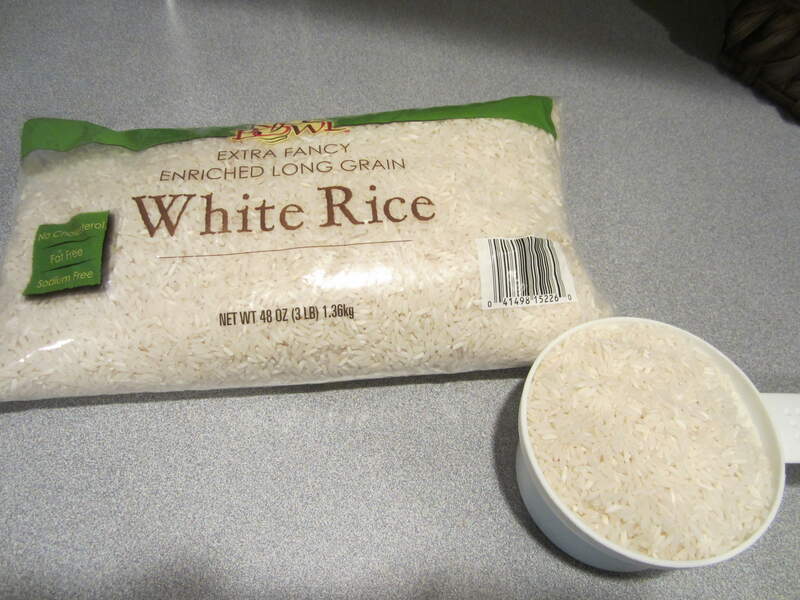 As I suspected, the rice ended up being very big….big as in “I don’t have a big enough bowl to mix this in” big. I ended up dividing the rice into two bowls, topping each one with half the soup mixture, and stirring each one until it came together. A double recipe of this casserole gave me A LOT of food! I filled 3 baking dishes with the mixture, which turned out to be very tasty. (I had to sample) We ended up having some of it for lunch…the other half of that pan will be eaten for lunch next week. The 2 remaining pans went into the freezer. 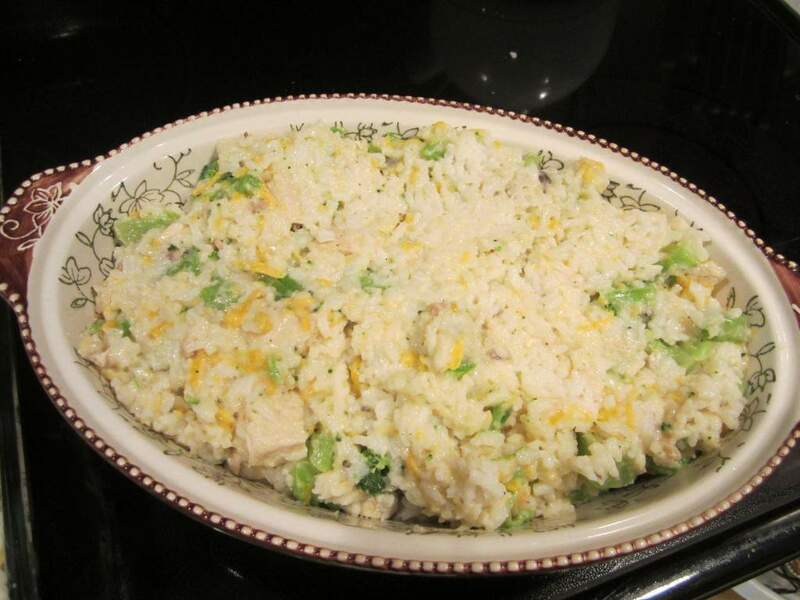 When I make a recipe for the first time, I like to follow it to the letter, but I think next time I make this, I will reduce the amount of rice a bit, because I felt like the chicken and cheese was spread a little thin between all that rice. Have you been keeping up with Money Saving Mom’s freezer cooking series? What do you have in your freezer? I made this recipe too. I had to sample it before I froze some it turned out really good. I hope your son is doing better today. 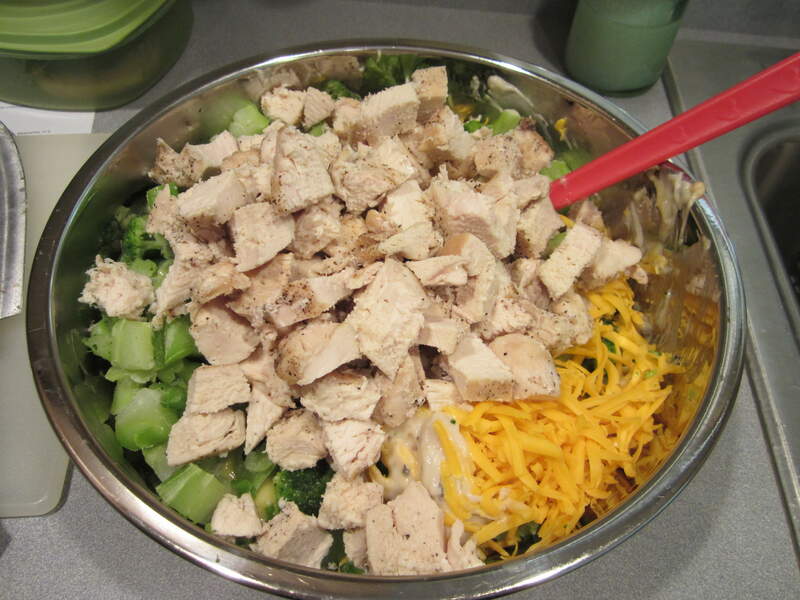 Everyone’s chicken broccoli and rice casseroles are making me hungry! It looks great! I hope your little guy is all better. Do they fix a dislocated elbow the way they do a dislocated shoulder? Poor guy. Thanks Victoria! I’m not sure how they fix shoulders but for the elbow. they just extend the arm out straight with the elbow pointing down, then bend the arm until the fingers touch the shoulder. From what they told me, the pop of the ligament is the part that hurts, but it’s not bad. I read on Wikipedia that kids outgrow this by age 7 when the ligaments get tougher.